Yep. And as of last night, I was one of the few people in the United States who had NOT YET seen this Disney blockbuster. As far as I knew from this film, I thought it was a retelling of the Hans Christian Andersen story The Snow Queen, and considering that I remember that the last time Disney took one of Hans Christian Andersen’s works and put it on the big screen, it was the blockbuster The Little Mermaid, I figured at some point in time I would watch the film. And so, with family and friends, I sat and watched Frozen. Now that I’ve seen it… here’s what I enjoyed about it. The animation – it’s up to the Disney breathtaking standard. 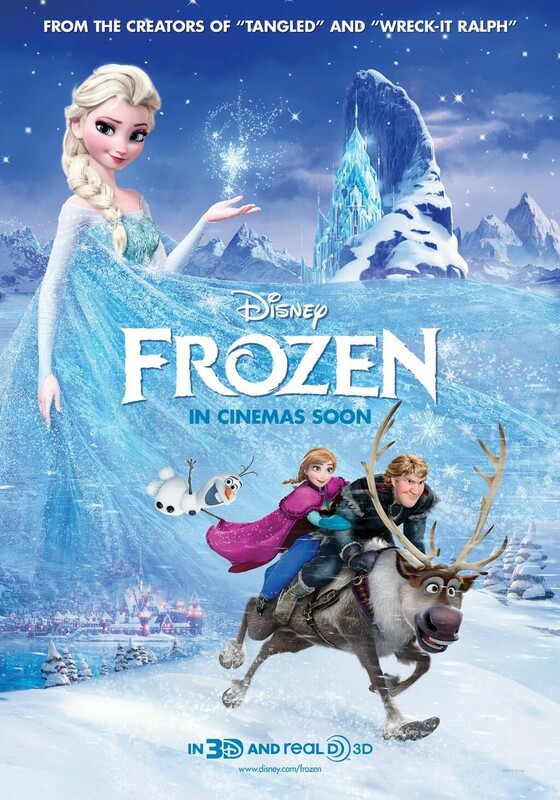 The storyline – similar to most late-era Disney animated pictures, with the valiant heroine like Belle (Anna), the conflicted not-really-a-villain-but-misunderstood like the Beast (Elsa), the goofy sidekick like Sebastian or Timonn and Puumba (Olaf, Sven), the supporting character with wisdom or strength or knowledge that helps the heroine, a la Aladdin’s Genie (Kristoff), and the villain who reveals himself as the true villain partway through the film, a la Gaston (Hans). I get this. And the songs were great, even if I felt like nearly every single song could have been transplanted to a Broadway musical (yes, “For The First Time In Forever” and “Do You Want To Build A Snowman” I’m talking to both of you). But then again, I expect a Disney movie to have songs in it. You know what? Granted, it took me a year to see this picture (as opposed to the twenty years I waited to see Pulp Fiction, the raison d’etre for the Royale With Cheese movie club), but there was something in the film that I was waiting for. Where was the Snow Queen? Not Elsa, but the one that had the cursed mirror? Where were Kai and Gerda? What happened to the splinters of the mirror that landed in Kai’s eyes and made him think that Gerda was evil? What happened to the puzzle of trying to create the words “eternity” to break the spell? Here’s the movie I remember that told the story of the Snow Queen. I STILL say it’s better in the theater. But glad you saw it. Don’t worry Chuck, as big as Disney fans we are, we still haven’t seen it. The only reason I even heard of Fozen was because of the commercials for whatever fast food tie in it had. I literally just caught the Snow Queen on Roku. It blew my socks off – hadn’t seen it in probably close to 40 years. Like discovering a long lost friend.